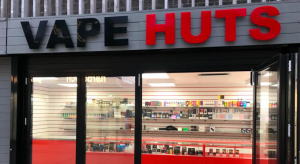 Vape Huts, a new healthcare focused consultative retail and online concept in the world of vaping and CBD products, is launching its first ‘Vape Hut’ in Wrexham this month. On a mission to help people who are looking to improve their physical and mental well-being, the revolutionary ‘hut’ will house a team of experts offering friendly advice about vaping choices, as well as educating curious visitors on the health benefits of CBD (also known as Cannabidiol – a naturally occurring compound found in the Cannabis plant). “Whether it’s those who are considering quitting smoking, people seeking relief from ailments such as anxiety or stress, sufferers of chronic pain and depression, seasoned vapers, or those who are interested in preventative health; we’re making vaping and CBD products more affordable and more accessible to the average person,” explains Wasim Bajwa. 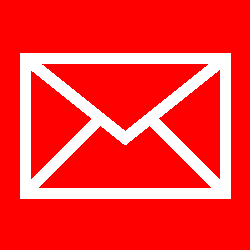 founder and CEO of Vape Huts, who has been established in the vaping industry since 2012. The company chose Wrexham as its launch site after finding that smoking, high blood pressure and depression is higher than the national average in the region, according to 2017 statistics from the Betsi Cadwaladr University Health Board – all health issues that can be addressed by Vape Huts’ product offerings. Practicing GP (with a special interest in cardiology), Dr. Masud Prodhan, is advising the market innovator in a clinical support capacity to guarantee quality assurance for Vape Huts customers, by monitoring the wider clinical indications of vaping and CBD, which are set to improve people’s quality of life: “There is overwhelming evidence, from both medical research and independent use-cases, that CBD can treat and prevent a number of different physical and mental medical conditions, unlike tetrahydrocannabinol (THC), the compound that causes the psychoactive, paranoia or ‘high’ effects usually associated with Cannabis”. Since 1st November, 2018, the UK government officially recognised that CBD is an effective treatment for many different health concerns, giving specialist NHS Doctors the authority to prescribe medical cannabis products to patients. “It’s great that the government has now recognised the therapeutic and medical benefits of CBD, but at this stage, NHS doctors are only allowed to prescribe for very specific, extreme cases. At Vape Huts we’re ensuring the health benefits of CBD are accessible to everyone, which also means saving the NHS money on the cost of treatment and patient visits to GPs,” said Bajwa. The company’s tried and tested product offerings are fully certified, ethical and safe to use All Vape Huts consumables are sourced from a trusted, fully researched network of high quality vaping and CBD product suppliers – with each product batch being traceable to its original source. “The Vape Huts concept is founded on a strong ethos; to help people live healthier and feel better in their everyday lives – and our commitment to uncompromising quality control, safety and affordability underpins this,” concluded Bajwa. The Wrexham Vape Hut, which is the very first in a series of the unique huts set to launch across the UK, will be open from Monday 14th January at Eagles Meadow Shopping Centre in Wrexham town centre. Customers will also be able to purchase vape and CBD products through Vape Huts’ new online store www.vapehuts.com, which will launch the same week. A large range of high quality vaping and CBD products will be available ‘in hut’, including the disposable Stig Pod vaping device, a wide selection of vaping kits and e-liquids, CBD vape liquids, CBD oral drops – all in a variety of different flavours and strengths – as well as CBD gummy bears, CBD lotions and balms, CBD drinks, and more. A number of exclusive vape and CBD promotions are planned for the launch event starting with a myblu™ vape pen starter kit at just £5.99, which includes two free additional flavour pods. These offers are available ‘in hut’, online, and through Vape Huts’ Facebook and Twitter pages, and are only redeemable for a limited time from within the Wrexham ‘hut’. Visitors to the hut must be over 18. Terms and conditions apply.